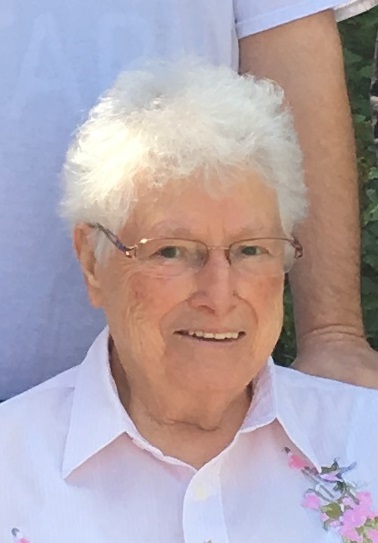 Florence Rosanna “Flossie” Jackson, 88, passed away on Thursday, January 31, 2019, surrounded by her family at Lima Memorial Hospital, under the care of Putnam County Hospice. Florence was born on July 27, 1930, in Cavalier, ND, to the late George Louis and Hattie (Kihne) Trottier. On Wednesday, October 12, 1949, she married Billy Dean Jackson, who preceded her in death on February 10, 2014. Florence was a homemaker. She belonged to the FOE Aerie #370 Auxiliary in Lima, the VFW Post #1275 Auxiliary in Lima, and the American Legion Post #96 in Lima. She was a member of the Market Street Presbyterian Church in Lima. 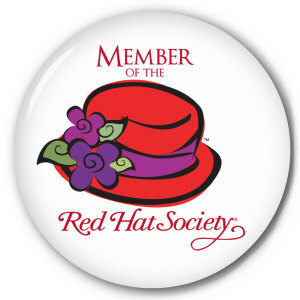 She was a part of the Red Hat Mama’s. Family was of great importance to her. She is survived by her sons: Darryl Jackson and Dwight (Heather) Jackson both of Lima, daughters: Darlyne (Charles) Wernery of Orange, TX, Dianne (Kevin) Berg of Cavalier, ND and Debra (Ron) Finfrock of Eaton, OH, eleven grandchildren: Keith (Jeniece) Jackson, Jessica (Richard) Kreager, Charlie Wernery, Cody (Nichole Wetzstein) Berg, Garth (Bailey) Berg, Mali (Taylor) Savageau, Chandi (Bryan Ray) Finfrock, April Finfrock, Aaron Finfrock, Jared Jackson and Shelby Jackson, 21 great-grandchildren: Harlie, Mykolas, Kailee, Courtney, Zachary, Grace, Zachary, Kyla, Braelyn, Sean, Alexis, Shane, Addyson, Bryant, Kenton, Riley, Samantha, Jaeger, Skylar, Erika and Dawson, two great-great-grandchildren: Emery and Xavier. She is also survived by numerous nieces and nephews. She was preceded in death by her husband, parents, brother and sister-in-law, Ralph and Lillian Trottier, sister and brother-in-law, Helen and Edwin Odegaard. The family will receive friends from 12:00 p.m. to 2:00 p.m. on Tuesday, February 5, 2019 at Chamberlain-Huckeriede Funeral Home, Lima, Ohio. A funeral service will follow at 2:00 p.m. Rev. Dottie Kaiser officiating. There will be a private family entombment at Memorial Park Cemetery, Lima at a later date. Memorial contributions may be made to Putnam County Hospice or a charity of donor’s choice.